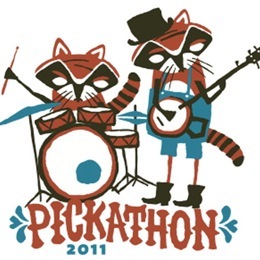 The Annual Pickathon (Aug 5-7) is one of the best festivals going. The low-key event is held on a the forested Mt Scott 80 acres of Pendarvis Farm near Portland, OR. featuring multiples stages generally focusing on Americana and roots music but, like the definition of Americaana itself, blurs the boundaries in order to deliver great music which also includes Indy rock, Cajun music and some living legends. Americana Album of the Year Grammy winner Mavis Staples will be joined by and more than 40 artists like the cool Cajun band I met at the Grammys, the Pine Leaf Boys, and the hot Oregon-based country rockers Truckstop Darlin’. So pack the tent and bring the family (kids under 12 are free!) enjoy the fresh air and go hear some great music!